The deluxe one bedroom condo is located in a beautiful tropical setting at the Kihei Kai Nani complex in Kihei, Maui. Just steps from the beach and a pristine pool on property, the condo sleeps 3-4 comfortably. The bedroom has a dreamy king-size bed, custom-covered with a designer Hawaiian style quilt. The tropical flair sofa pulls out into a queen-size bed. This second floor condo in building 11 is easily accessible and has a peaceful garden view. Eat in comfort on the outdoor lanai or indoors on the beautiful teak furnishings. The unit has a contemporary look with updated appliances, a flat screen TV, DVD player, high speed internet, ceiling fans, and air conditioning. Beach chairs, beach umbrella, boogie boards, and condiments for cooking are all provided. Family owned, smoke free unit, walk to shops, restaurants, and tours, centrally located to all island activities, minutes from world class golfing in Wailea. By law, our on-island agent is KKN Rentals and our Hawaii Tax ID is #W 51957733-01. Bruce & Lynne would love to share their condo with you. Come enjoy a home away from home and relax on Maui. Bath towels, as well as, Beach towels are provided for your convenience. Available at the Association pool. Some of the basics may be left by prior guests. Enjoy what you can use! Kitchen is fully functional with modern appliances and everything necessary to cook a wonderful Hawaiian meal. The grill in the common area outside is a great place to sear fresh Ahi. Modern television in both the Living room and the Bedroom. Some books available for your reading pleasure. There is a view of the lawn off the Lanai and a lawn slope in front of the unit. The unit is on the 2nd floor, which is up one, short flight of stairs. There are no elevators. Close to everything, comfortable bed, great quality kitchenware and everything you need. Everything is tastefully done! A very nice, clean, well appointed condo in a great location. Internet and cable TV worked flawlessly. I would not think twice about staying here again. Great location . Beautiful condo. The condo was very comfortable and relaxing. It had everything needed for our visit. We enjoyed the condo and for us it was the perfect location. Nice to be able to walk across the street to the beach. Also easy driving distance to other places we had planned to see We were also thankful for the availability of a cooler for our road trips and beach amenities. The kitchen had everything needed for meal prep if we had wanted to cook. The 2nd floor location wasn't a bother and it was quiet. Check in and out was smooth. We would stay here again if we ever make it back to Maui. We are so glad you enjoyed your stay. My sentiments exactly. We would be happy to host you on your next trip to Maui! We had an amazing time on our stay in Kihei. Your condo was everything and more. Perfect location, all the things you need for cooking and playing!!! Thank you so much , we will be back !! I'm so glad you enjoyed your stay! You are welcome back anytime. Comfortable, clean, convenient, with everything you need for cooking! The complex is directly across the street from a great beach with fabulous sunsets. Everything was clean, the huge bed is comfortable and I was particularly impressed with the pots, and wide array of spices, and kitchen accoutrements some of which I do not have at home! (A mortar and pestle). I’m always glad to find a good salad spinner!). There are even good boogie boards to use. I’d return!!!! You can walk to anything you could desire. Local Maui Contact: KKN Rentals 2495 S. Kihei Rd. 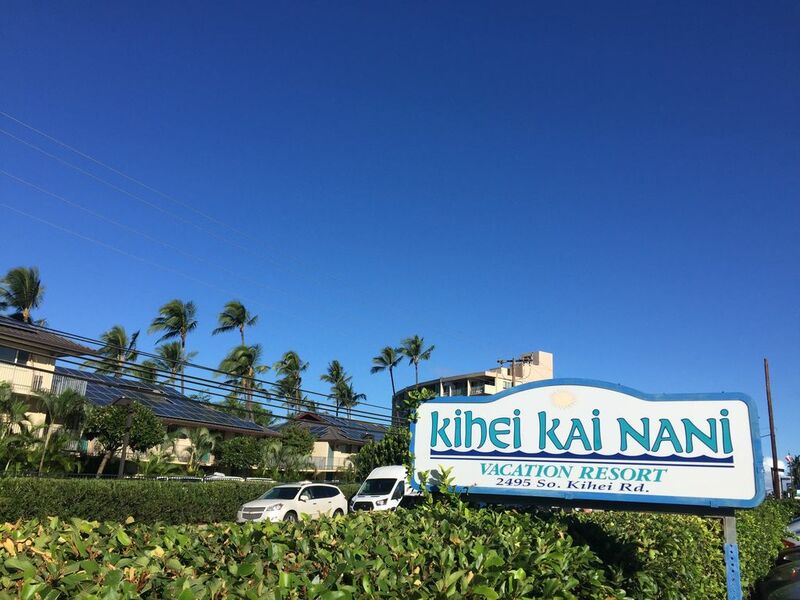 Kihei, HI 96753 1-800-473-1493 1-808-879-9088 Tax ID W5195773301 The McGowan Trust and Lidie Trust aba KKN 243 *Additional fees will apply to international credit card payments. We recommend personal check or cashier's check in US funds for payment rate as listed.